A commercial bank is what is commonly referred to as simply a bank. The term "commercial" is used to distinguish it from an "investment bank," a type of financial services entity which, instead of lending money directly to a business, helps businesses raise money from other firms in the form of bonds (debt) or stock (equity). Provide overdraft agreements for the temporary advancement of the bank's own money to meet monthly spending commitments of a customer in their current account. Provide internet banking system to facilitate the customers to view and operate their respective accounts through internet. Provide charge card advances of the bank's own money for customers wishing to settle credit advances monthly. Provide a check guaranteed by the bank itself and prepaid by the customer, such as a cashier's check or certified check. Accepting the deposits from customer and provide the credit facilities to them. Sell investment products like mutual funds etc. Capital markets services - underwriting debt and equity, assist company deals (advisory services, underwriting, mergers and acquisitions and advisory fees), and restructure debt into structured finance products. Private banking - Private banks provide banking services exclusively to high-net-worth individuals. Many financial services firms require a person or family to have a certain minimum net worth to qualify for private banking service. Private banks often provide more personal services, such as wealth management and tax planning, than normal retail banks. Brokerage services - facilitating the buying and selling of financial securities between a buyer and a seller. In today's (2014) stock brokers, brokerages services are offered online to self trading investors throughout the world who have the option of trading with 'tied' online trading platforms offered by a banking institution or with online trading platforms sometimes offered in a group by so-called online trading portals. Currency exchange - where clients can purchase and sell foreign currency banknotes. Wire transfer - where clients can send funds to international banks abroad. Remittance - where clients that are migrant workers send money back to their home country. Investment management - the term usually given to describe companies which run collective investment funds. Also refers to services provided by others, generally registered with the Securities and Exchange Commission as Registered Investment Advisors. Investment banking financial services focus on creating capital through client investments. Hedge fund management - Hedge funds often employ the services of "prime brokerage" divisions at major investment banks to execute their trades. Custody services - the safe-keeping and processing of the world's securities trades and servicing the associated portfolios. Assets under custody in the world are approximately US$100 trillion. Insurance brokerage - Insurance brokers shop for insurance (generally corporate property and casualty insurance) on behalf of customers. Recently a number of websites have been created to give consumers basic price comparisons for services such as insurance, causing controversy within the industry. Insurance underwriting - Personal lines insurance underwriters actually underwrite insurance for individuals, a service still offered primarily through agents, insurance brokers, and stock brokers. Underwriters may also offer similar commercial lines of coverage for businesses. Activities include insurance and annuities, life insurance, retirement insurance, health insurance, and property insurance and casualty insurance. Reinsurance - Reinsurance is insurance sold to insurers themselves, to protect them from catastrophic losses. Bank cards - include both credit cards and debit cards. According to the Nilson Report, JP Morgan Chase is the largest issuer of bank cards. Credit card machine services and networks - Companies which provide credit card machine and payment networks call themselves "merchant card providers". Intermediation or advisory services - These services involve stock brokers (private client services) and discount brokers. 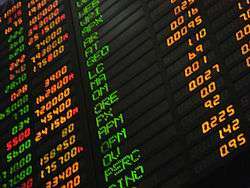 Stock brokers assist investors in buying or selling shares. Primarily internet-based companies are often referred to as discount brokerages, although many now have branch offices to assist clients. These brokerages primarily target individual investors. Full service and private client firms primarily assist and execute trades for clients with large amounts of capital to invest, such as large companies, wealthy individuals, and investment management funds. Venture capital is a type of private equity capital typically provided by professional, outside investors to new, high-growth-potential companies in the interest of taking the company to an IPO or trade sale of the business. Angel investment - An angel investor or angel (known as a business angel or informal investor in Europe), is an affluent individual who provides capital for a business start-up, usually in exchange for convertible debt or ownership equity. A small but increasing number of angel investors organize themselves into angel groups or angel networks to share resources and pool their investment capital. Conglomerates - A financial services company, such as a universal bank, that is active in more than one sector of the financial services market e.g. life insurance, general insurance, health insurance, asset management, retail banking, wholesale banking, investment banking, etc. A key rationale for the existence of such businesses is the existence of diversification benefits that are present when different types of businesses are aggregated i.e. bad things don't always happen at the same time. As a consequence, economic capital for a conglomerate is usually substantially less than economic capital is for the sum of its parts. Financial market utilities - Organisations that are part of the infrastructure of financial services, such as stock exchanges, clearing houses, derivative and commodity exchanges and payment systems such as real-time gross settlement systems or interbank networks. Debt resolution is a consumer service that assists individuals that have too much debt to pay off as requested, but do not want to file bankruptcy and wish to pay off their debts owed. This debt can be accrued in various ways including but not limited to personal loans, credit cards or in some cases merchant accounts. A financial export is a financial service provided by a domestic firm (regardless of ownership) to a foreign firm or individual. While financial services such as banking, insurance and investment management are often seen as a domestic service, an increasing proportion of financial services are now being handled abroad, in other financial centres, for a variety of reasons. Some smaller financial centres, such as Bermuda, Luxembourg, and the Cayman Islands, lack sufficient size for a domestic financial services sector and have developed a role providing services to non-residents as offshore financial centres. The increasing competitiveness of financial services has meant that some countries, such as Japan, which were self-sufficient have increasingly imported financial services. The leading financial exporter, in terms of exports less imports, is the United Kingdom, which had $95 billion of financial exports in 2014. The UK's position is helped by both unique institutions (such as Lloyd's of London for insurance, the Baltic Exchange for shipping etc.) and an environment that attracts foreign firms; many international corporations have global or regional headquarters in the London and are listed on the London Stock Exchange, and many banks and other financial institutions operate there or in Edinburgh. Fraud within the financial industry costs the UK (regulated by the FCA) an estimated £14bn a year and it is believed a further £25bn is laundered by British institutions. As of 2004 the financial services industry (finance industry) represented 20% of the market capitalization of the S&P 500 in the United States. The U.S. finance industry comprised only 10% of total non-farm business profits in 1947, but it grew to 50% by 2010. Over the same period, finance industry income as a proportion of GDP rose from 2.5% to 7.5%, and the finance industry's proportion of all corporate income rose from 10% to 20%. The mean earnings per employee hour in finance relative to all other sectors has closely mirrored the share of total U.S. income earned by the top 1% income earners since 1930. The mean salary in New York City's finance industry rose from $80,000 in 1981 to $360,000 in 2011, while average New York City salaries rose from $40,000 to $70,000. In 1988, there were about 12,500 U.S. banks with less than $300 million in deposits, and about 900 with more deposits, but by 2012, there were only 4,200 banks with less than $300 million in deposits in the U.S., and over 1,801 with more. The financial services industry constitutes the largest group of companies in the world in terms of earnings and equity market capitalization. However it is not the largest category in terms of revenue or number of employees. It is also a slow growing and extremely fragmented industry, with the largest company (Citigroup), only having a 3% US market share. In contrast, the largest home improvement store in the US, Home Depot, has a 30% market share, and the largest coffee house Starbucks has a market share of 32%. ↑ "Financial Services: Getting the Goods". IMF. 28 March 2012. Retrieved 8 September 2015. ↑ "Bill Summary & Status 106th Congress (1999 - 2000) S.900 CRS Summary - Thomas (Library of Congress)". Retrieved 2011-02-08. ↑ "Private Banking definition". Investor Words.com. Retrieved 2009-02-06. ↑ "How Swiss Bank Accounts Work". How Stuff Works. Retrieved 2009-02-06. ↑ "Prudential: Securities Processing Primer" (PDF). cm1.prusec.com. ↑ "Price comparison sites face probe". BBC News. 2008-01-22. Retrieved 2009-02-06. ↑ "The Nilson Report - News and Statistics for Card and Mobile Payment Executives". ↑ Clark, David (2003). Urban world/global city. Routledge. p. 174-176. ISBN 0415320976 ; Shubik, Martin (1999). The theory of money and financial institutions. MIT Press. p. 8. ISBN 0262693119. ↑ Roberts, Richard (2008). The City: A Guide to London's Global Financial Centre. Economist. pp. 1–22. ↑ "UK's financial services trade surplus biggest in the world, dwarfing its nearest rivals". TheCityUK. 3 July 2014. Retrieved 5 June 2015. ↑ "Special report on services exports" (PDF). EY Item Club. June 2014. Retrieved 8 September 2015. ↑ "Watchdog warns of criminal gangs inside banks". The Guardian. London. 2005-11-16. Retrieved 2007-11-30. Porteous, Bruce T.; Pradip Tapadar (December 2005). Economic Capital and Financial Risk Management for Financial Services Firms and Conglomerates. Palgrave Macmillan. ISBN 1-4039-3608-0.